There's no band quite like the legendary Phish! 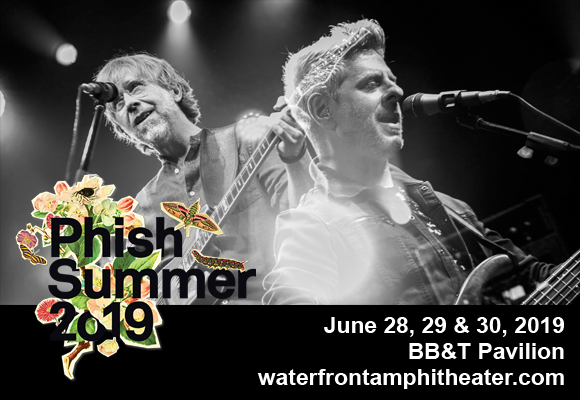 On their annual summer tour (which, this year, hits up several arenas across North American for multi-night runs) the inimitable group comes to BB&T Pavilion on Friday 28th June 2019 for the first of three unique shows! With impeccable production, a dazzling light-show, perfectly picked set-lists and a second-to-none groove, Phish make out-of-this-world entertainment look effortless!